Judge Judy's $147M Makes Her World's Highest Paid TV Host, Ellen DeGeneres In Second Place With $87M - Joe.My.God. 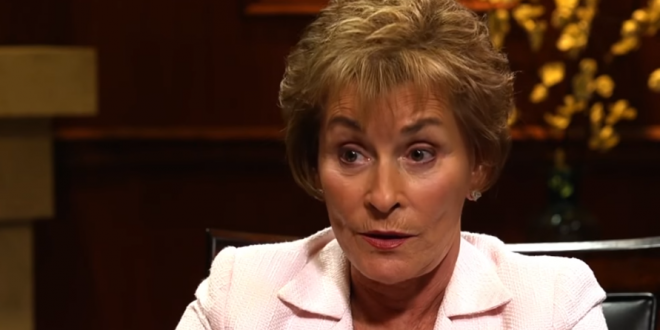 For the first year ever, Judy Sheindlin—more commonly known as Judge Judy—reigns supreme not only in her own courtroom, but also across all of television. Pocketing $147 million pretax last year, Sheindlin is the world’s highest-paid television host, out-earning all others. The sharp-talking daytime judge takes the top spot thanks to her even sharper deal-making skills: Last year she sold the rights to her Judge Judy’s 5,200-episode library, as well as future episodes of the show, to CBS for an estimated $100 million. Between that paycheck and the $47 million she gets for hosting Judge Judy and producing Hot Bench, Sheindlin took in triple her typical annual paycheck. With that added to her bank account, she also became 48th-richest self-made woman in America, with a net worth of $400 million. Ellen DeGeneres is in second place with $87 million earned via her talk show, a $20M Netflix deal, movie appearances, licensing fees, and many product endorsements. Following closely behind Ellen are Ryan Seacrest and Dr. Phil McGraw.